We know you answered 'yes' to all of the above, and we've got you sorted. The Mamas are an eight-piece soul, RnB and funky fem-hop outfit from Melbourne, led by four of the sassiest vocalists you'll ever meet. Debut EP 'Juicy' out now. 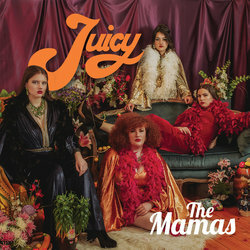 ‘Juicy’, the debut EP from Melbourne soul, RnB and fem-hop outfit The Mamas, is out now on all platforms. Set to quench thirsts across the globe, ‘Juicy’ contains eight tracks, freshly squeezed, packed to the brim with four-part harmonies, timeless melodies and terrifying sass. Enjoy responsibly.